Don’t forget to make sure your diary for next year is made in Britain. LETTS is the latest company to shift production back to Britain as rising costs in the Far East and improved technology back home have made manufacturing in this country attractive once again. Well done Letts. Letts make diaries, calendars, address books, visitor books and such. 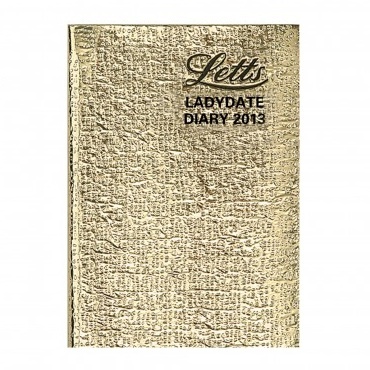 Letts do a range of diaries starting the week on a Sunday or a Monday, all made in the UK. Letts also own filofax. Letts have manufacturing facilities in Scotland and abroad. Until recently Letts products did not generally state country of origin, so you had to ask them direct if a product is made in the UK or not. I am pleased to say that for 2014 diaries Letts are clearly identifying which of their diaries are made in the UK with the words “Made in Great Britain” on the back. This entry was posted in Books, Diaries, Letts, Stationery and tagged British made diaries, diaries, diary, Filofax, Letts diaries, Made in the UK on November 1, 2012 by ukmade.